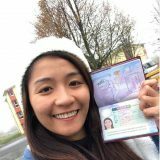 If you want to take advantage of the Australian quality education and training system but you are not an Australian citizen, you may apply for a student visa. Visas are granted by the Australian Department of Immigration and Citizenship (DIAC). In order your student visa will be granted by the DIAC, your chosen course must be registered or is part of a registered course, on a full time basis. A registered course is one offered by an Australian education provider registered with the Australian Government to offer courses to overseas students. You may visit the Commonwealth Register of Courses and Institutions for Overseas Students (CRICOS) website for more information. Only courses under three months’ duration can be undertaken on a visitor visa or working holiday visa. If you intend to study for more than three months, you must apply for a student visa. Below are advantages of studying on a student visa. You can apply for permission to work part time. As soon as you receive a letter of offer or electronic Confirmation of Enrolment (COE) for your full time course of study, you can apply for your student visa. However, it is recommended that you wait until you are advised by your local Australian Government office to enrol or obtain a CoE. 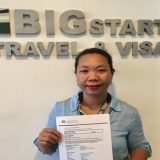 Your local Australian Government office can also give you information on applying and what documents you will need to attach to your application. What your document requirements will be. If you are subject to Assessment Level 1, you can apply online. If you are subject to Assessment Level 3 or 4 you will need a letter of offer when you apply for your visa. Depending on your country of nationality and your principal course of study you may have to undergo a preliminary assessment before an Electronic Confirmation of Enrolment (eCoE) is issued by your Australian education provider. You should apply under the visa sub-class for your principal course of study. Each education sector in each country is ranked according to five assessment levels. These visa requirements include English language proficiency and are increasingly stringent from assessment level 1 through to assessment level 5. The only accepted evidence of enrolment for processing student visa applications. Generally, you will be issued with a multiple entry visa for the duration of your study course in Australia. This allows you to travel in and out of Australia within the period for which it has been granted. Members of your immediate family (spouse and unmarried dependent children under 18 years of age) may accompany you to Australia and will be considered in the same visa class as yourself. 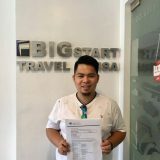 http://www.bigstartvisa.com/services/student-visa/ http://www.bigstartvisa.com/services/student-visa/If you wish to extend your stay in Australia for further study you will need to lodge an application for a further visa. For more detailed, accurate and up-to-date information on student visas and visa requirements please visit the Department of Immigration and Citizenship website. Australian quarantine keeps out exotic pests and diseases that could affect Australia’s native plants and animals, human health, agricultural industries and our environment. Visit the Australian Quarantine and Inspection Service website for a list of what you cannot bring into Australia, and what your family and friends at home cannot send to you through the mail. For international students undertaking ELICOS (English Language Intensive Courses for Overseas Students) as a stand-alone course, and not as a prerequisite to commencing another course (for example, a degree course). For international students undertaking a course of study at a primary school or a secondary school, including both junior and senior secondary school, and an approved secondary exchange program. Covers a Bachelor degree, Associate Degree, Graduate Certificate, Graduate Diploma and masters by course work.